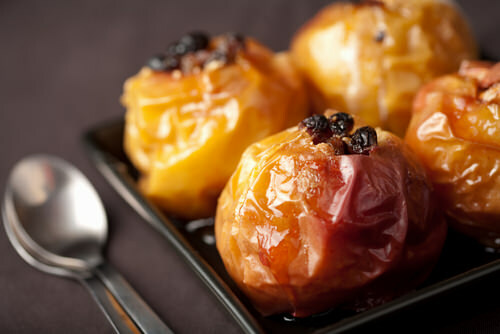 Bring out the sweetness of fresh apples by baking them. Choose four tart green apples. Scoop out the core of each apple, leaving a well in the middle of the fruit. Stuff each apple with 2 tablespoons brown sugar and 1 tablespoon butter. Place in a shallow baking dish and sprinkle with cinnamon. Bake at 350 degrees for about 15 minutes, until sugar begins to caramelize and apples are tender.